Dona Paula-One of the most happening beaches in Goa! Dona Paula, a tourist paradise is a former village located in the suburbs of Panaji Goa. It was once a secluded bay and is at a place where two famous rivers: Zuari and Mandovi meet the Arabian sea. Once a silent village its now one of the most commercialized areas of Goa. Dona Paula is famous for seaside shopping, sunbathing, food shacks and water sports. Its one of the most famous and happening beaches of Goa because of the various water sports facilities offered here. Kayaking, motor boat riding, windsurfing, parasailing, water-skiing, toboggan ski-biscuit, yachting, skibob, sports fishing, snorkeling and harpoon fishing are some of the leisure activities you can indulge into at the Dona Paula Beach. This place is very well connected by air and road. Nearest airport is Dabolim and nearest railway station is Karmali. It can be reached easily by bus from Panjim’s Kadamba Bus stand. Lot of option for staying here- Hotels, resorts, beachside huts, for budget tourists there are houses available on rent which are very economical. There are a number of legends behind Dona Paula, one of them states that Dona committed a suicide by jumping off the cliff because she was not allowed to marry a local fisherman, another says that Dona was married to lower class fisherman who went into deep seas for fishing and one day did not return, Dona his loving wife waited for him at the jetty for many years and finally turned into stone! this place fascinates tourists by its mysticism and beauty. The statute on the rock is dedicated to them and their love…But all this is just a folklore though tragic one. Dona Paula Amaral Antonio de Souto Maior grave was found in the the transept of the Chapel at the Governor’s Palace where a part of her history is engraved on her gravestone. Dona Paula was a kind-hearted and helped the villagers and worked a lot for their betterment, and that’s why after her death the villagers decided to rename the village as Dona Paula. Initially the village was called Oddavell. The alleged statue of ‘Dona paula’ at the jetty is actually the sculpture of Mr. and Mrs. Robert Knox. A dutch sculptress, Baroness Yrse Von Leistner etched the sculpture as she was in awe of the philosopher Robert Knox. Goa visit is fun, adventure and is ideal to get romantic, come here with your loved ones and fall in love all over again. Goa is one of the most popular tourist destinations in India. Almost 2 million tourists hit this place annually. Goa is India’s smallest state by area and fourth smallest by population and also India’s richest state. Goa’s capital is Panaji and its largest city is Vasco da Gama. 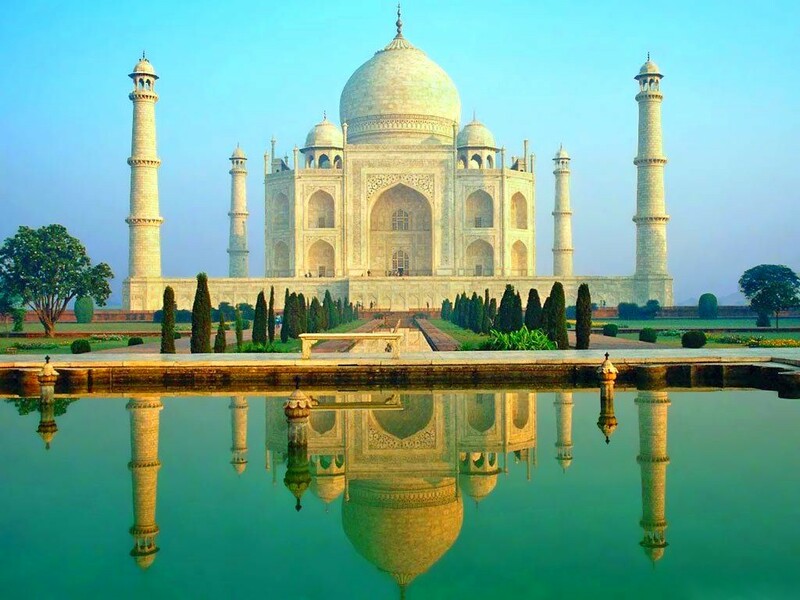 Located in south west India, Arabian Sea forms its western coast. 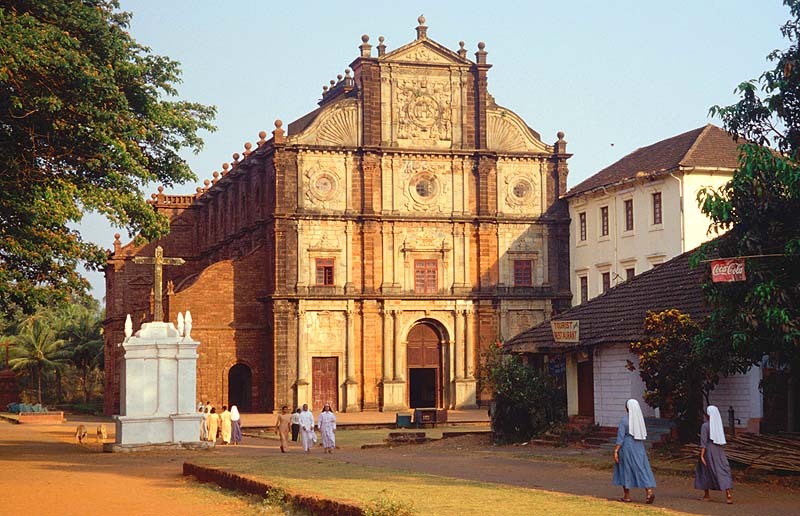 Illustrious beaches of, rich flora and fauna, Goan Cuisines, beautiful churches are the resplendency of Goa. The swaying palms, glistering waters, white sands, friendly and charming people of this place would make you fall in love with this place. Go for a walk in the morning enjoying the scenery of the place or experience the serenity of a day on its beaches. Along with these one can wander around seeing museums, centuries old Cathedrals, the beautiful architecture of Goa which is a combination of Indian, Mughal and Portuguese styles. 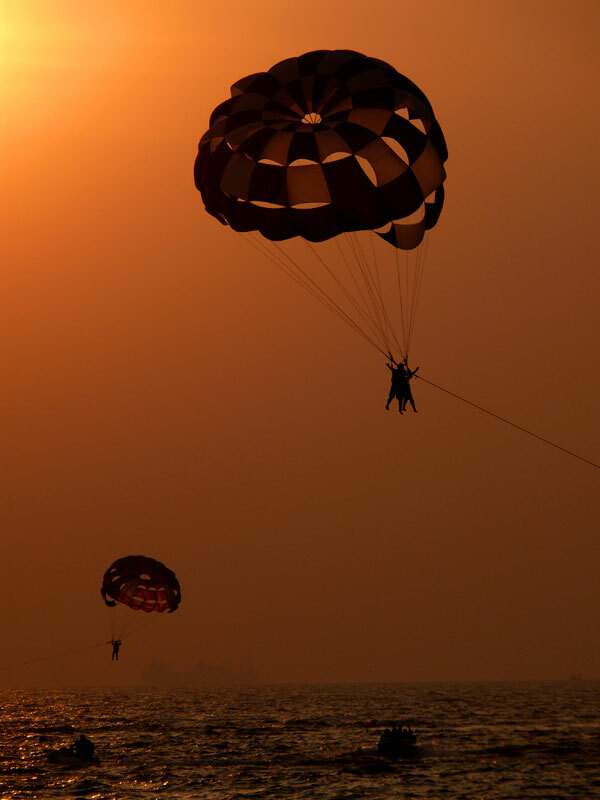 Goa is perfect for you to enjoy water sports, of 125 km of marvelous coastline, the Goa sand beaches cover about 83 km. 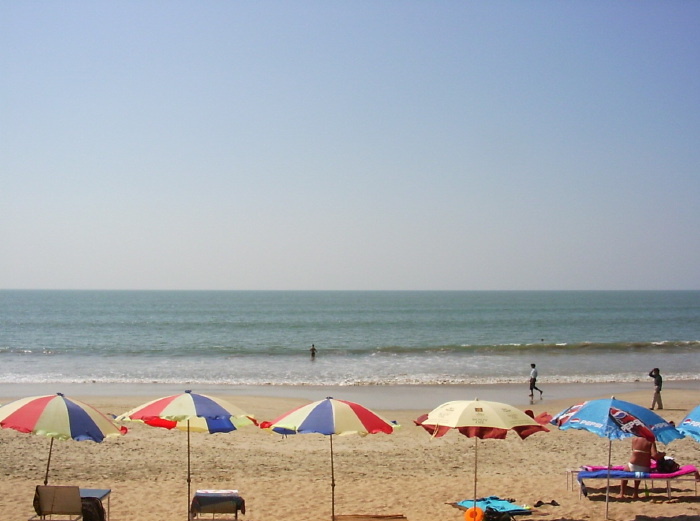 Beaches such as Calangute, Colva, Pololem, Vagator, Baga, Dona Paula, Miramar and Bogmolo are ideal spots for surfing. Most of the windsurfing trainers and experts call Dona Paula bay as the ideal site to start of wind surfing, especially if you are new to this sport.If you love speed then you must try water skiing, take a speedboat and rush through the sea and experience the thrill! If you want to see what a marine life is, then go for scuba diving and discover on your own the mysterious marine lives of Goa; there are plenty of diving options available in Goa. Most of the diving activities take place around the Grande Island and the most common sites include Suzy’s Wreck, Davy Jones Locker, Sail Roack, Turbo Tunnel, Surge City, Uma Guma Reef and Bounty Bay. The exclusive tour packages to Goa facilitate the exploration of the popular beaches along with comfortable stay at the Goa beach resorts. The beaches in Goa therefore are thronged by honeymooners and adventure tourists every year. 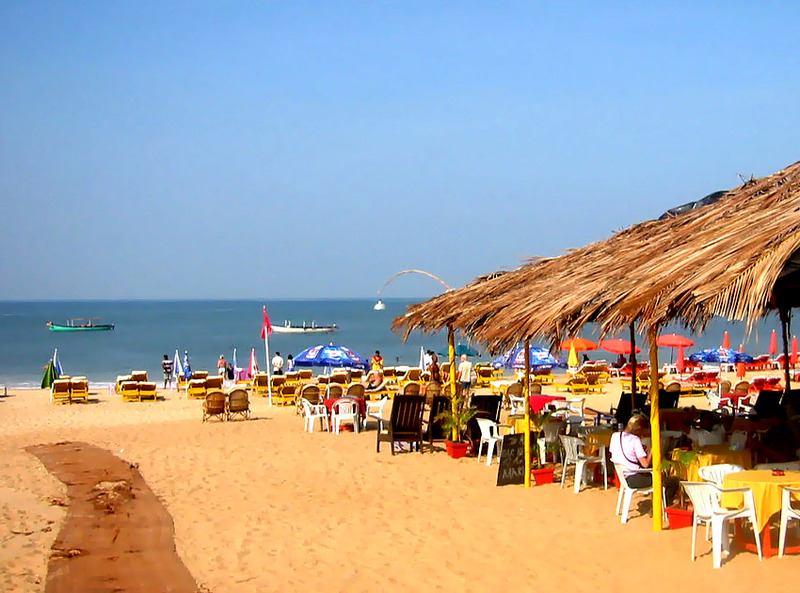 Salvage the popular gourmets and enjoy the warm waters, make your stay in Goa beaches memorable. A bit about the history: The name Goa come from the Portuguese but precise origin is unclear. In ancient literature Goa was known by many names like Gomanta, Gomanchala etc.